When Is a Car Accident Settlement Legally Binding? Most personal injury claims arising from car accidents are settled out-of-court, usually between an attorney representing the victim and the negligent party’s insurance company. Settlement negotiations are often a lengthy process. It is important for both sides to be clear as to their intentions and expectations, lest there be any misunderstanding as to the terms of a possible agreement. Like any contract, an accident settlement requires two things: an offer and an acceptance. If the insurance company offers to settle your personal injury claim for $50,000 and you accept the check, then you have entered into a legally binding contract. If, however, you make a counteroffer–you want $60,000 instead of $50,000–then there is no acceptance and therefore no contract. Contracts are often described as a “meeting of the minds,” meaning both parties have agreed to the same substantive terms. There are, however, cases where one party may later dispute whether such a meeting of the minds occurred. For example, an accident victim may make what he considers a conditional offer, but the insurance company takes it as a final deal. Here is a recent illustration from the Tennessee Court of Appeals. In this case the plaintiff, a U.S. Postal Service mail carrier, was injured when another driver rear-ended his delivery vehicle. The plaintiff subsequently sued the driver for negligence. Seven months later, however, the defendant was still waiting for further instructions from the plaintiff on how to distribute the $100,000 settlement. At this point, the plaintiff said his medical expenses were higher than previously thought and he planned to pursue an uninsured motorist claim against his own insurer for the balance of the damages. The defendant then asked a judge to enforce the settlement agreement. The judge did so. The plaintiff appealed, arguing there was no binding legal contract because, he claimed, there were waiting for the defendant’s insurance company to provide additional documents regarding the terms of the policy. The plaintiff further alleged the settlement was invalid because the defendant never notified the plaintiff’s uninsured motorist carrier. But as the Court of Appeals explained, the plaintiff never requested such documents during the months of settlement negotiations. 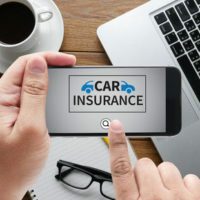 More to the point, “everyone involved knew at all pertinent times that the liability policy limits were $100,000.” As for failing to notify the plaintiff’s insurance carrier, the court said the defense was not made aware of the plaintiff’s uninsured motorist coverage until months after it agreed to the settlement. Accordingly, the Court of Appeals upheld the trial court’s ruling enforcing the settlement. Need Help Dealing With an Insurance Company? Negotiating with insurance companies is complicated enough when you have counsel. It certainly is something you should never attempt without counsel. If you need help from an experienced Tennessee car accident attorney, contact the offices of Fox & Farley, Attorneys at Law, in Clinton or Knoxville today.